How does Swimming Help in Weight Loss and Toning Body? We all like to have a well toned body without any extra flab. People spend large sum of money at gym and for other workouts in order to burn extra calories and stay trim and fit. If you swim daily, you need not do any other exercise to burn the extra calories. It helps in losing weight and also relaxes your mind. Everybody can do swimming with a little bit of practice. It is said that even expectant mothers can do swimming, unless there is some complications and the doctor has advised you not to exert too much. Swimming helps you to lose weight and also burn the calories fast. Swimming is not a stressful exercise like running or jogging. So you can do it any time you like it. It is also helpful in elevating your mood. Swimming provides a complete workout for the body as it involves all the muscles of the body. A warm-up for your body is needed before you get in to the pool to swim. This will prevent you from getting cramps on the body. The warm-up will supply you with extra energy you need for swimming. Swimming is an exercise which is very cheap as you can swim in any pool you prefer, as long as it is clean and hygienic. If you swim in dirty water, it may lead to health problems, especially skin problems. You may even suffer from some skin disease. You can choose any pool you like for swimming. It can be a proper swimming in a club or a natural pool at home or near your home. Some experienced swimmers swim in rivers and sea as well. But you must be well experienced do try such things. Can you lose Weight by just Swimming? Swimming is one of the easiest and ideal ways to lose weight. The cardiovascular activities that take place as you swim have the power to burn calories fast and vigorously. People suffering from stubborn fat or cellulite benefit a lot by swimming. When you swim, many muscles of the body work together. The muscles need extra oxygen as you swim. So the lungs and the heart work hard and supply the oxygen needed by the muscles. As a result, your lungs and heart become strong. This in turn leads to lowering of blood pressure, thus maintaining the blood pressure levels. Swimming regularly is also good for getting relief from chronic ailments. If you swim daily, you can make your immune system strong and increase your immunity power. Swimming also reduces the risk of type 2 diabetes and stroke. It is also an excellent way to maintain the flexibility of the muscles and joints, and to keep your body in good shape. How many Calories are burned Per Hour by Swimming? As you consume food, you take in calories and it is essential that you burn the calories you take in. 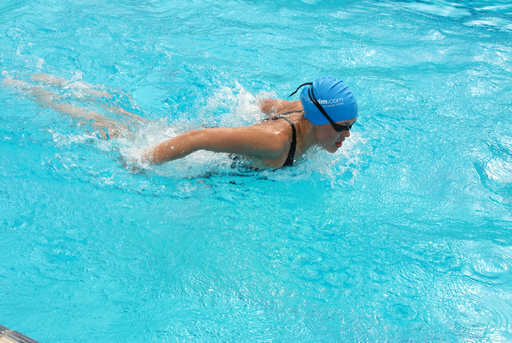 Swimming is an excellent way to burn the extra calories easily and most effectively, without any extra pains. You may be wondering how much calories you can burn an hour by swimming. Well, you will be surprised to know that you can burn as much as 450 to 750 calories per hour by swimming. The exact amount you lose depends on your style of swimming. If it is vigorous swimming, it will be more and if it is slow swimming, it will be less. So, swimming is much better than walking, where you burn only 270 calories per hour. Swimming involves repeated strokes and this help in making your neck, joints, hips and shoulders flexible. Here you will find some swimming tips that help you to lose your weight effectively and easily. Breaststroke is one of the most popular swim strokes and the beginners are first taught this stroke as it allows them to keep their head above water. To do this stroke, touch your palms and then pull your palms towards your chest. Extend your palms facedown at shoulder height and make a semi circular movement as you move the palms outwards. The legs execute a whip kick. You can burn as much as 700 calories per hour by doing this stroke. This is the slowest of all swimming strokes. This stroke is similar to the front crawl stroke but here you have to swim face up instead of face down, so that you swim on your back. Here alternate circular arm movements are made while the legs make flutter kick movement as in free style. Just as in front crawl, you can burn 480 calories per hour by doing this stroke. This stroke is very difficult to do and you need a lot of practice for doing it. You have get really trained in swimming before you can practice this stroke. In this stroke you have to roll your hands, like the blades that move on a windmill, from outward to inward towards your waist. This stroke is the second fastest stroke and makes you get easily exhausted. You burn 750 calories by doing this stroke. This is the standard way of swimming. In this stroke you have to do the over arm strokes alternatively with your arms while you flutter kick your feet constantly in the water. This is the fastest of all swimming strokes and used in many of the swimming competitions. 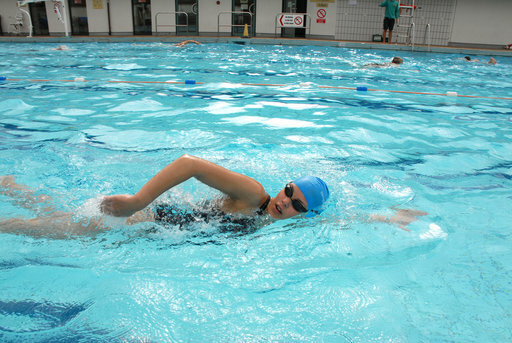 By doing free style or front crawl stroke, you can lose about 480 calories per hour. 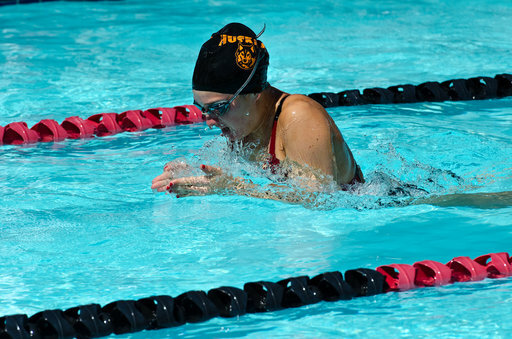 Sidestroke is regarded as the most common stroke that you use in swimming. Here you have to lie sideways and then swim. 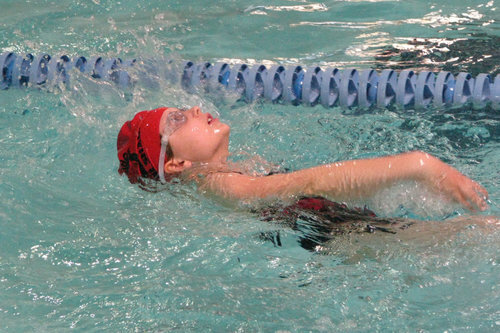 In sidestroke one arm extends forward and the other arm is extended backwards. Now extend the arm at the back forward while the forward arm moves backwards. Repeat this alternatively. 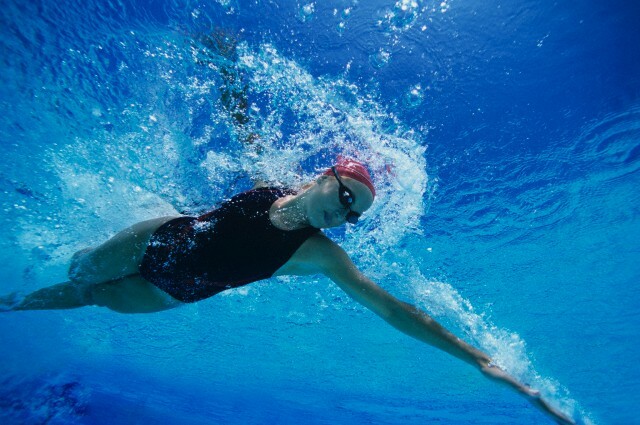 You can burn as much as 500 calories per hour by doing sidestroke. How Does Drinking Prune Juice help you Lose Weight?